On This Day…18 September | What I think About When I Think About Writing. Howdy, people. Professor Jimbo here, ready to profess his profession and confess to a procession recession and concession. Nope, don’t look at me. I haven’t a clue, either. Maybe I drink too much coffee, who knows. 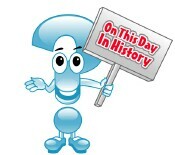 1502 – Christopher Columbus lands at Costa Rica on his fourth, and final, voyage. There he spotted Steven Spielberg, prepping for Jurassic Park. 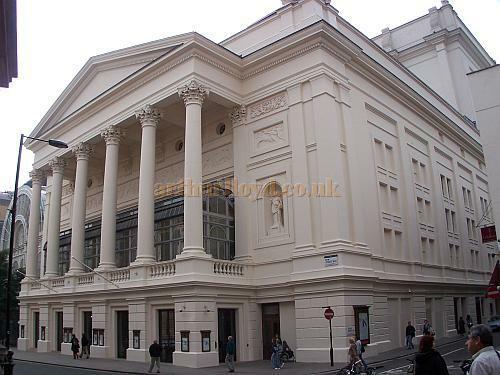 1802 – The Royal Opera House opens in London. Tickets cost a “tenor”. 1837 – Tiffany and Co. (first named Tiffany & Young) is founded by Charles Lewis Tiffany and Teddy Young in New York City. The store is called a “stationery and fancy goods emporium”. A great place for breakfast, so I hear. 1872 – King Oscar II accedes to the throne of Sweden-Norway. What – one country wasn’t enough, Oscar? 1914 – The Irish Home Rule Act becomes law, but is delayed until after World War I…or until after the pubs shut – whichever came first. 1939 – William Joyce (Lord Haw Haw) makes his first Nazi propaganda broadcast. 1960 – Fidel Castro arrives in New York City as the head of the Cuban delegation to the United Nations. 1988 – End of pro-democracy uprisings in Myanmar after a bloody military coup by the State Law and Order Restoration Council. Thousands, mostly monks and civilians (primarily students) are killed by the Tatmadaw. 2009 – The 72 year run of the soap opera The Guiding Light ends as its final episode is broadcast. 1936 – Big Tom, Irish country singer, 74. He's a nice guy, really. 1949 – Peter Shilton, English record-holding goalkeeper. Known to his friends as “Safe Hands”, he is 61 today. 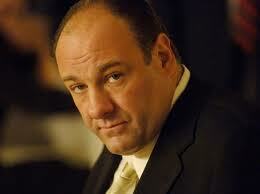 1961 – James Gandolfini, American actor and star of The Sopranos, 49. 1971 – Lance Armstrong, American cyclist and six time Tour de France winner, 39. 1983 – Kevin Doyle, Republic of Ireland and Wolverhampton Wanderers midfielder, 27. Go, Doyler!! Great goal against Andorra! This entry was posted in On This Day and tagged Christopher Columbus, Constantine, Covent Garden, Fidel Castro, Guiding Light, James Gandolfini, Jimi Hendrix, Kevin Doyle, Lance Armstrong, London, Lord Haw Haw, New York City, Royal Opera House, Soap opera, Soprano, The Sopranos, United States. Bookmark the permalink. Can’t believe Hendrix has been dead for 40 years! I spend most my days in a purple haze . . .
Haw-haw and Spielberg, together at last. Only you could manage that one, James. Busy day, wasn’t it? Makes me think I must have got off lightly in 2010..